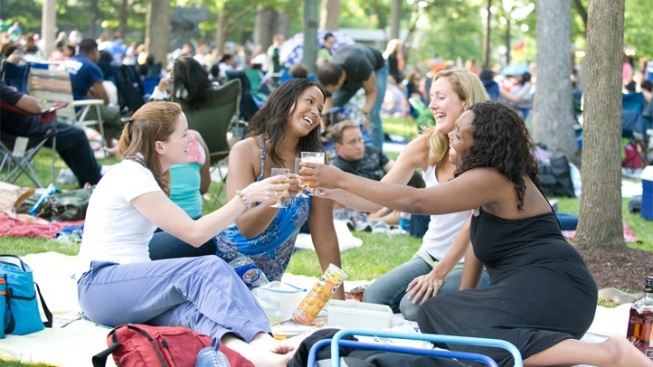 Tickets are going quickly for the 2014 Ravinia Festival. Whether it was a long, hard winter that left people craving the idea of outdoor music, or a great 2014 Ravinia Festival summer lineup, the music festival experienced a record amount of people trying to buy tickets on the first day of sales Thursday. Ravinia spokesman Nick Pullia says the festival sold three times as many tickets by early afternoon than they did on the entire first day of sales in 2013 -- which at the time, was a record. The only drawback was up to three hour long wait times to snag your tickets. "We don't like that at all, so we're looking at ways to revamp it so the waits aren't so long," Pullia said. "It's great that the season is so popular. We sell the equivalent of 10-and-a-half United Centers in a span of a couple of hours, so things get busy." Pullia said the system didn't crash, but things get bogged down by customers who weren't sure which tickets to buy, and spend time shopping on the site.